According to the Environmental Protection Agency, infectious organisms thrive in warm, moist, places, such as foot bath systems used in spas. 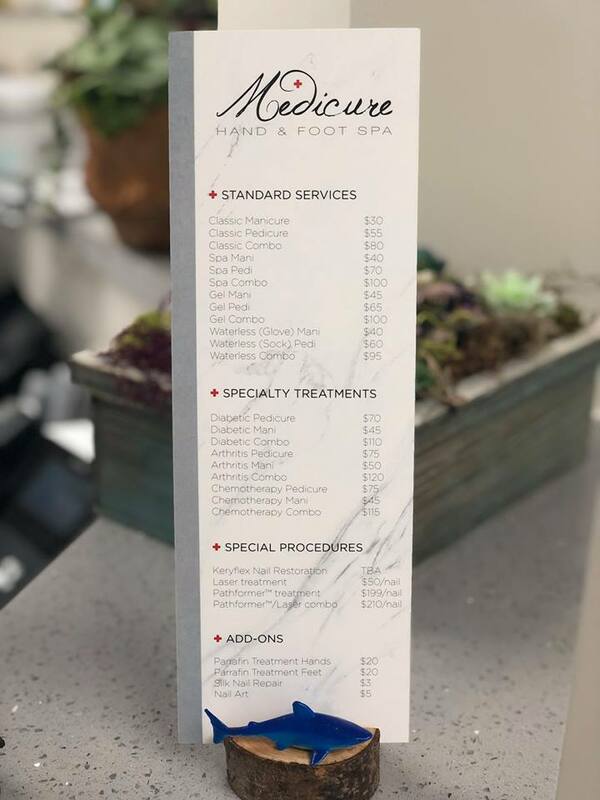 At The Medicure Hand and Foot Spa, the goal is to provide traditional spa services that minimize the chances of patients developing nail fungus, bacteria, and infections. All Medicure instruments are sterilized with the same techniques used by hospitals that meet or exceed OSHA (Occupational Safety and Health Administration) standards.